A couple of weeks ago I noticed a chip on my nail, on my non-dominant hand, aka the hand that goes into my photos! It was so close to the edge of my nail bed. Had it broken, it would've been very painful and bloody. In the beginning I didn't do anything because I had nothing at hand to save it, and there was no way I was going to cut my nails that short. When my nails are short, I start biting them. I barely keep myself from doing it now thanks to the length and nail art. Anyway, back to the issue at hand. A chipped nail. Any nail art lover's worst nightmare. To some people it's just a broken nail, but for us it's also a broken heart, broken spirit, and lots of tears. When I was younger, I used to see how my aunt used to cry whenever she broke one of her nails. And all I thought (I was a 6 y/o kid) was "wow.. all that crying for a nail?" it just baffled me. And nowadays I completely understand what my aunt used to feel. 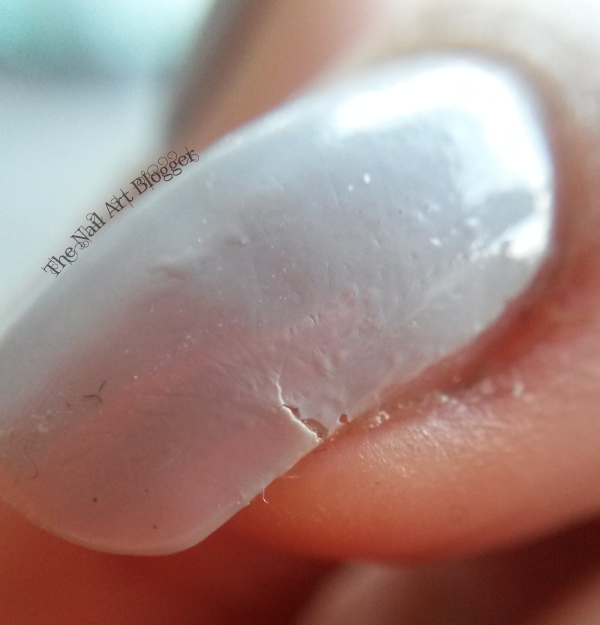 So, without more back-stories, here's what I did to fix my nail using a very budget-proof method. 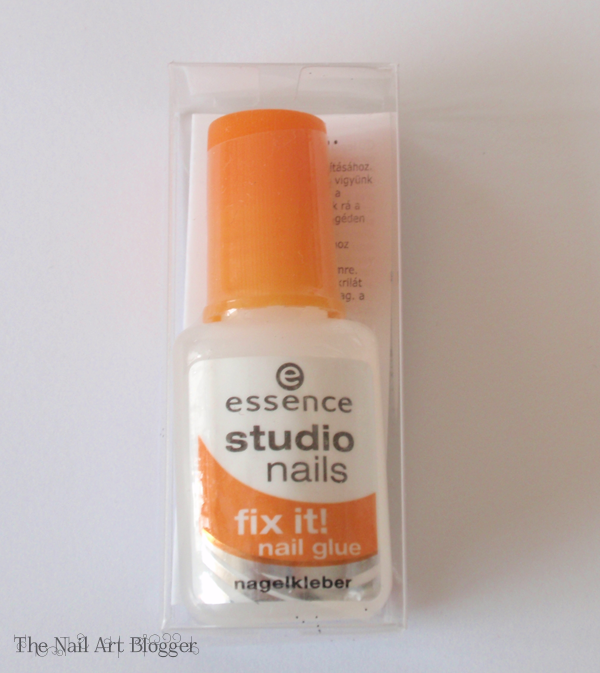 First I went and bought the Essence studio nails fix it! nail glue. It only cost me around €2,29 ($3.15) -price might be different in different countries/stores-. And all I needed other than that were my files, and a tiny piece of Kleenex (paper tissue). The nice thing about this glue is that it comes with a brush for easy application. I had nail polish on, so after removing it, I filed my nail surface to smooth out any pointy edges. Then I applied a layer of glue, and grabbed a small piece of Kleenex and put it on top. I waited a couple of minutes, and then I added another layer of glue and let it dry completely before I proceeded to the next step. 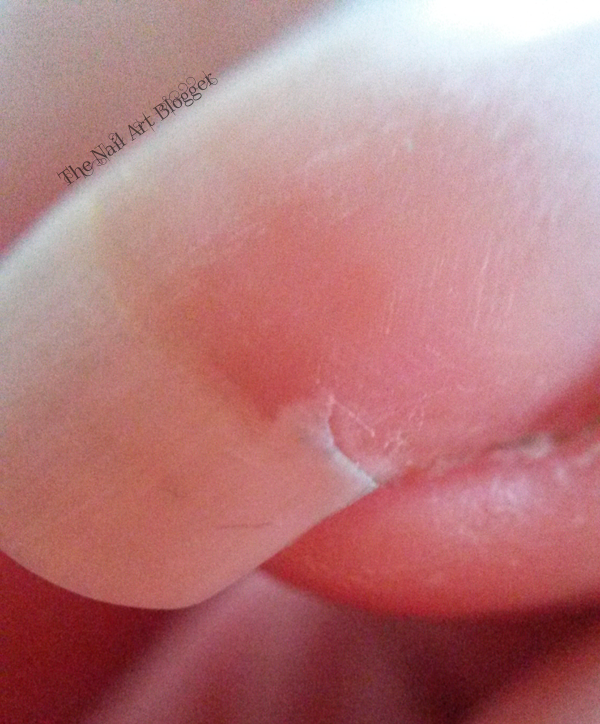 Once the glue was completely dry, I took a rough file and filed around the edges of the glue over my nail. And then I took a finer file (or a buffer) and started buffing out the whole surface of the glue, to have it be smooth and in sync with my nail plate. Can't have a blob of square peek out from underneath my nail art now, can I? As you can see, the surface is completely smoothed out and you can't even see it with an opaque polish. It's been four days since I patched my nail and it's still holding up nicely! I'm so pleased that I discovered that you don't need to spend a lot of money to fix a broken nail. 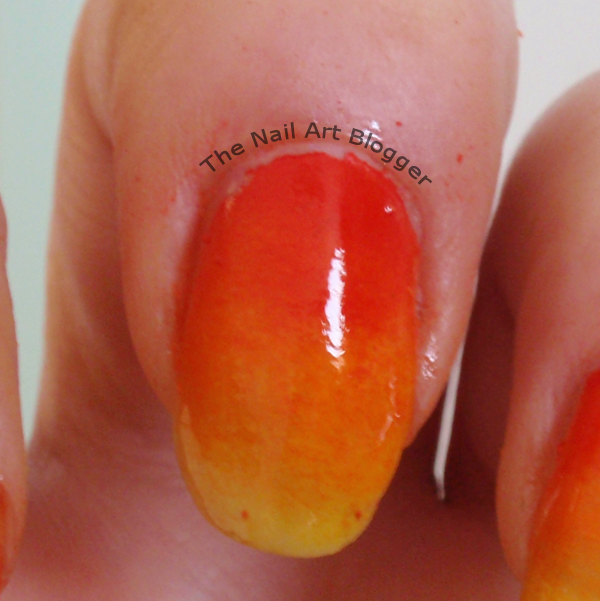 All you need is a good nail glue, and a tiny piece of a tissue. I hope this was helpful for those who might need an affordable solution for a broken nail. I always use a little piece of a tea bag. It works great with this glue!